Physiotherapy is the treatment of musculoskeletal issues that are associated with orthopaedic and neurological conditions. These methods include massage, heat treatment, and exercise to compliment veterinary care. Physiotherapy can prevent and limit injury as well as accelerate healing, restore function and optimise performance. 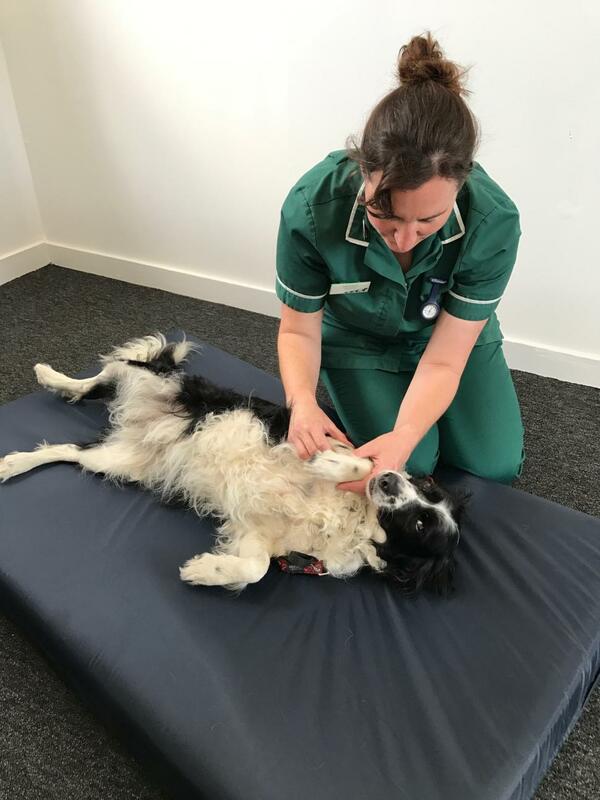 If you are concerned that your pet is suffering from any of the conditions mentioned, has recently undergone surgery, or would just like peace of mind, then please book in for an assessment with our head nurse, Melissa. The assessment involves taking a detailed clinical history and identifying any concerns you may have, followed by a thorough clinical examination. Melissa will then work with you to develop an appropriate physiotherapy treatment programme. Melissa Cook is our Head Nurse and has been in practice for 15years. Melissa has a keen interest in orthopaedics and rehabilitation, which lead her to undertaking more training in this area. 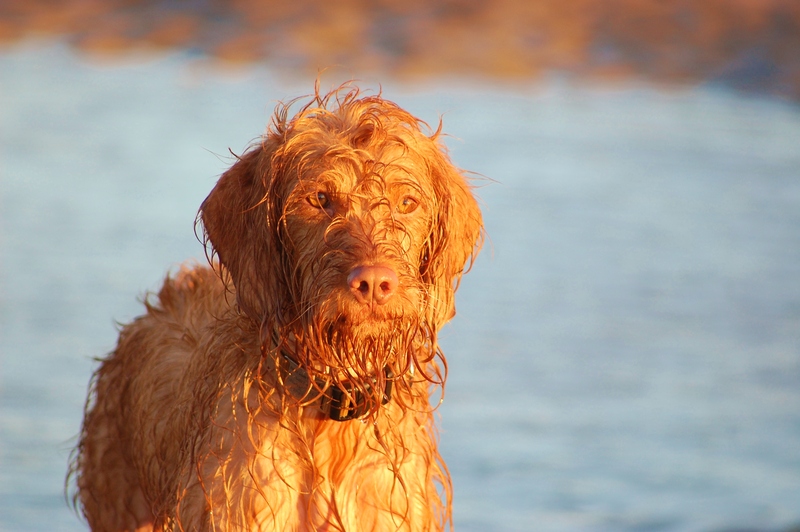 She enjoys working closely with owners and their pets to achieve the best outcome possible. Melissa trained with Justo Development to achieve a level 6 diploma in small animal physiotherapy and rehabilitation. She is a member of ASSVAP (Association for the Scientific Study of veterinary and animal physiotherapy). Maxwell is a rescue bulldog, he has arthritis in his spine and managed to knock a heavy table lamp onto himself. He began to drag his back leg and could not support himself. Melissa provided physiotherapy to his back legs and spine and taught me the movements and manipulations to do at home. Now Maxwell’s foot does not knuckle and he trots along happily. The physio provided was gentle, reassuring and expertly done. In addition, we have started a regular regime of laser therapy which Maxwell positively enjoys and the benefits are very evident. I cannot recommend Senlac Vets, Melissa’s physiotherapy and the laser treatment highly enough.